Kevin Estre takes the fight to the infernal trio! At Silverstone, the situation became clearer at the head of the Porsche Mobil 1 Supercup. René Rast, the reigning double champion, leads Sean Edwards and Norbert Siedler by one point. 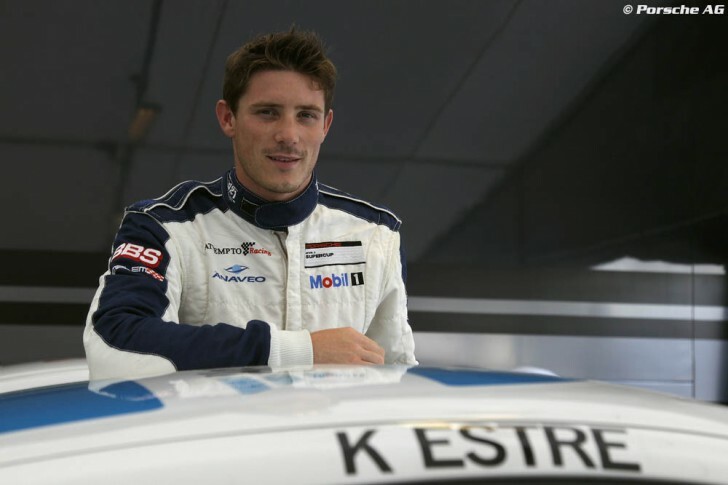 Twenty points further back, the equivalent of a victory, Kevin Estre, the best 2011 rookie, is keeping the other title contenders at bay. Just as the season reached the halfway mark the icsport management driver fought his way up to fourth in the overall classification thanks to his sixth-place finish in England. The next round of the Porsche Mobil 1 Supercup will take place on 22nd July as a curtain-raiser to the German Grand Prix on the Hockenheim circuit, where the first four in the classification already raced at the end of April in the German Porsche Cup. Estre set the third-best time in qualifying behind Edwards but in front of Rast, and finished second in the race sandwiched between the Brit and the German bagging the fastest lap. Before that he will be at Magny-Cours for the French national celebration this weekend for a one-off in the Porsche Matmut Carrera Cup, which he won last year.